New Features and Improvements in Sage HRMS 2014! Recently released and currently available for download, Sage HRMS 2014 includes over 50 software improvements suggested through the customer feedback portal online. Let’s take a look at what the newest version of this market-leading HR and payroll software has to offer. Improved Employee ID Management - Sage HRMS now supports a combination of both numeric and alphanumeric employee IDs without the system automatically restructuring the existing IDs in your database. You also get added flexibility when using the Add New Hire task. Shared Secure Queries - when creating and using Secure Queries in Sage HRMS HR, Time Off, and Sage HRMS Train, a new Share Button (visible when the Access Type is set to Private) allows you share you secure private reports with the employees of your choice. The Attendance Functionality in Sage HRMS 2014 has been greatly improved which includes far better flexibility for attendance plans and seniority-based accrual rates. Your Accrue Time processes now update pertinent reference fields throughout the Attendance Summary windows, as well as update the rules that govern attendance plans. New Accrual Calculations Process - attendance plans calculate seniority-based accruals depending on the Attendance Plans Detail > Seniority Levels Tab > Calculate Service As Of. For existing customers upgrading from Sage HRMS Versions 10.1 or 2012, both your current plan settings (for Use and Calculate Service As Of) and current data will be transferred to new options that preserve your current accrual calculations. No other action is required. To see which options default after upgrade, refer to this Enhancement Details table. You now have the option to Customize the Process Payroll Map in Sage HRMS 2014 to add custom reports, websites, and executable files (.exe). Sage HRMS 2014 also offers a new Automatic Tax Update option for Local/Other tax code rates supplied from Sage to the Sage HRMS Payroll U.S. product. Each time you apply a quarterly tax update, the system will prompt you and automatically apply rate changes to the supported tax codes currently in your Sage HRMS Payroll program (note: you can click NO at the prompt and continue using your current method). You can also automatically push the new rates to the tax codes on each employee record. Lastly, when importing a timecard Sage HRMS Payroll now includes the importing of Cost Center Overrides which will automatically update the G/L segments corresponding to each cost center override. This matches the way the system already handles information manually entered in timecards. 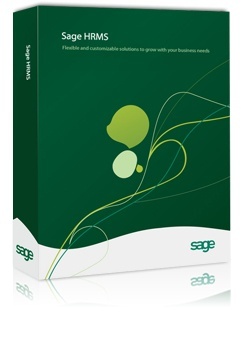 Download the Sage HRMS 2014 Release Notes for details about all enhancements and system requirements for this new release.